- The title image is an ambigram which will read Abarat if turned upside down. Abarat reminds me of Alice and her adventures in Wonderland. But the similarity ends there for Abarat is a far more dangerous and adventurous place. When I first read it it was as easy as the gentle flow of the river. Very descriptive yet very simple, you know what I mean? As J.K. Rowling (that's why she wrote about Harry Potter and not Harriet Potter) said, boys as characters in stories are more patronized by readers than that of girls (Girls will “read boys,” but boys still don’t “read girls.” And therefore, Harriet cannot garner as vast an audience as Harry could.)... but still the heroine of the Abarat story, Candy Quakenbush, is a lovable character as well... coming from a male reader. So how does the story goes? It begins in the most boring place in the world: Chickentown, U.S.A. Candy Quackenbush lives in Chickentown, her heart bursting for some clue as to what her future might hold. When the answer comes, it’s not one she expects. Out of nowhere comes a wave, and Candy, led by a man called John Mischief (whose brothers live on the horns on his head), leaps into the surging waters and is carried away. For a time the story starts with the basic elements: a girl lives in a lifeless town then finds herself in a middle of a natural calamity that changes her life forever, Wizard of Oz style. 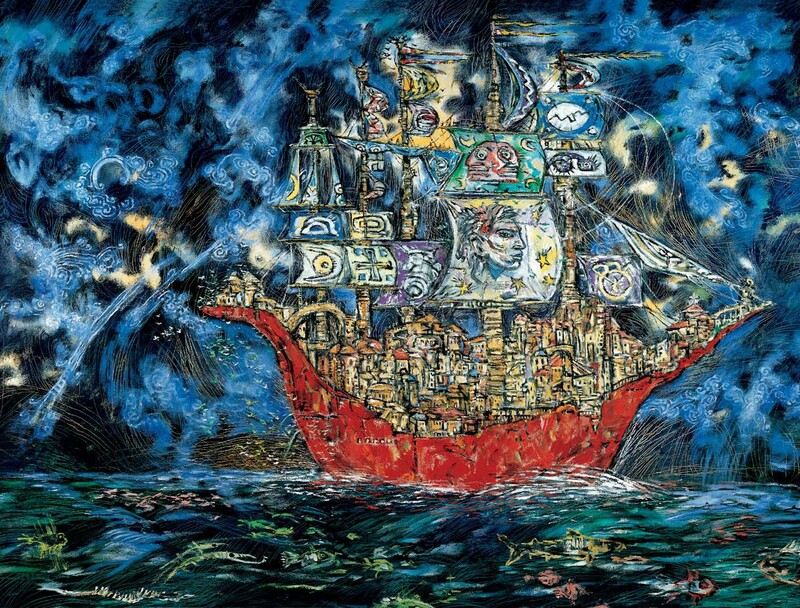 This story of a dormant heroine becomes weirder and weirder every twist and turn. If Alice in Wonderland boggles you with riddles, double that and then triple it once again and you'll get Abarat. It does not only get mind-boggling for the narrative also gets scary especially if your reading in the middle of the night and bought the illustrated edition, which featured gruesome and gore images. 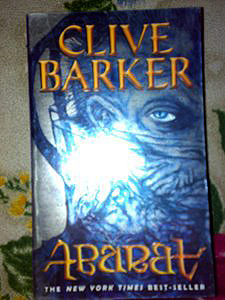 Abarat has just proven how an effective and imaginative writer (and painter) Clive Barker is when it comes to the bizarre and mundane. Even if this book are for children, I still can't recommend this for the youngster as I am concerned that they might get some nightmares after reading it.